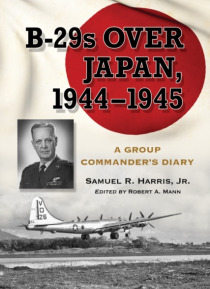 This diary focuses intensely on Col. Samuel Russ Harris' life within his own 499th Bomb Group and his relationship with the 73rd Bomb Wing's operations. The first section of the book is an intimate portrait of war. To provide a context of the B-29 war against Japan, the second half of the text details how the 73rd Bomb Wing was engaged in the war against Japan. Together, the two parts provide a we… ll-rounded portrait of America-and one American-at war.